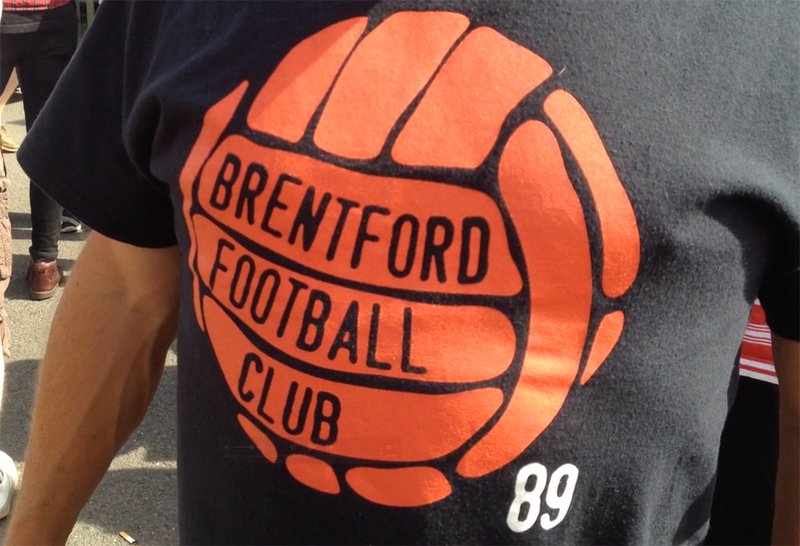 Sunshine returned to Brentford’s Championship campaign yesterday with a good win at Griffin Park over Ipswich Town. Five players made home debuts, but the headlines were grabbed by John Egan – the Irish centre-back “on fire” in the summer climate with a second half brace – which poured cold water over Ipswich’s performance. After the game Mick McCarthy bemoaned Town’s set piece marking, but Brentford fans will have been delighted at our genuine threat from set play – with Lewis MacCleod’s delivery looking a vast improvement on previous standards. Egan’s first goal was a direct header from a corner kick, but the second came when Town struggled with another corner, the impressive Yennaris picking up the loose ball and fizzing in a shot which was parried by Bialkowski straight to the lurking Egan who smashed the ball home to lift the lid off of Griffin Park. The Irishman was clearly delighted with a brace on his home debut. In truth, Ipswich had edged the game for the first half-hour, breaking at Brentford down both flanks and picking up a lot of loose balls in midfield. But they failed to really penetrate, with skipper Harlee Dean, Egan and the flying Dan Bentley looking solid at the heart of the Bees defence. Brentford had some good first half moments themselves, with Josh Clarke firing high and wide after being released by a delightful Yennaris pass, then Macleod dragged the ball just past the post after impressive work from Scott Hogan, who looked a burly menace throughout the afternoon. Romaine Sawyers also had a good home debut, showing real class on the ball and thriving in a central position. He prompted and probed throughout the afternoon and showed that he certainly has the ability for Championship football as he conducted a number of Brentford’s attacks. He worked hard too in sapping conditions. With Maxime Colin back in the team, and Andreas Bjelland on the bench, Brentford’s injuries are starting to clear it would seem. Lasse Vibe will also be back from the Olympics soon, after Denmark were knocked out on Saturday evening against Nigeria. With Huddersfield winning away at Newcastle, our opening day defeat also started to look a bit better. The return of Colin also allowed Dean Smith to play Clarke on the right of midfield and the youngster helped Brenford’s shape, taking the ball to the opponents with some direct running. We still need reinforcements in this area, with better quality in the final third, but Smith’s tactics yesterday were spot on. Forest arrive at Griffin Park on Tuesday night to face a much improved Brentford side, fresh from a 3-0 defeat against Brighton, so it could well be a cracker under the floodlights as we look to continue our recent good results against Philippe Montanier’s side. Do everything you can to get there, otherwise look out for @Beesotted’s match updates on Twitter. Keegan Keegan. Or Egan Egan? The win and how it was achieved said plenty about some encouraging pragmatism from Dean Smith. He used what he had effectively, selected a strong / functional team and found a way to make us more solid defensively. We were able to stay in the game during the 1st 30 minutes when they were on top, then we got our break on a set play and took it, confidence returned and we finished strongly. Under performing players such as KK and Josh and were eased out and the return Yennaris & Colin made a huge difference. OK some of the free flowing high risk stuff playing from the back has gone for now, Hogan has a tough job to do on his own, but this will get easier as players return and maybe 1 or 2 new signings arrive. On this evidence we are a couple of players short of being able to compete at the top end of the division, but are also strong enough to be clear of the relegation area. for their limitations Ipswich will still be top half i’d expect. Great to be back at GP, with the old place looking fantastic i thought. We do need to try to up the noise level a bit, our support is superb but we need the return of hostile GP, roaring home every point as one gained rather than waiting for stuff to happen. As you say everyone needs to get to GP tomorrow and give it their all.